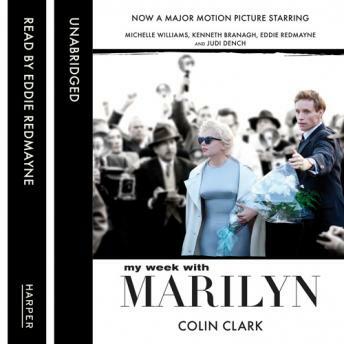 A delightfully comic and touchingly romantic interlude in which Colin Clark describes for the first time what happened between Marilyn Monroe and himself during the missing week in The Prince, the Showgirl and Me. In 1956, fresh from Eton and Oxford, the 23-year-old Colin Clark (son of 'Lord Clark of Civilisation', brother of maverick Tory MP and diarist Alan) worked as a humble 'gofer' on the set of The Prince and the Showgirl, the film that disastrously united Laurence Olivier with Marilyn Monroe. Forty years on, his diary account was chosen as book of the year by Jilly Cooper, Joan Collins and others. But one week was missing. This is the story of that week, a delicious idyll in which he escorted a Monroe desperate to escape from the pressures of stardom. Her new husband Arthur Miller was away, and the coast was clear for Colin to introduce her to the pleasures of British life. How he ended up sharing her bed is a tale too rich to summarise!